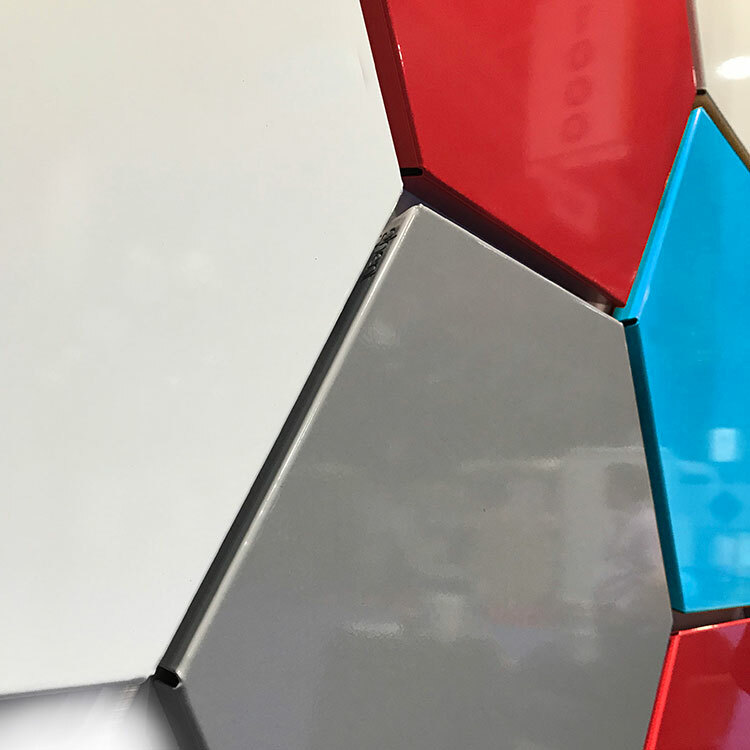 Designed to make common areas uncommon, LINK Hex whiteboard combines an exciting shape with bright colors to add some excitement to an office, conference room or co-working area. The powder coat finish on a beautifully formed steel surface is the perfect dimensional board that draws attention to an otherwise ordinary space. Designed to be functional and beautiful, LINK creates a functional focal point in any space: a dry erase surface that looks like art. 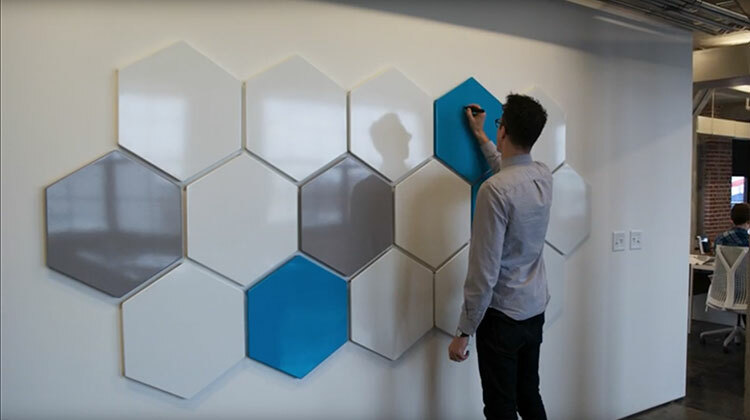 These perfectly modular hexagons are easy to install using a template that allows you to place your dry erase boards in a variety of layouts. 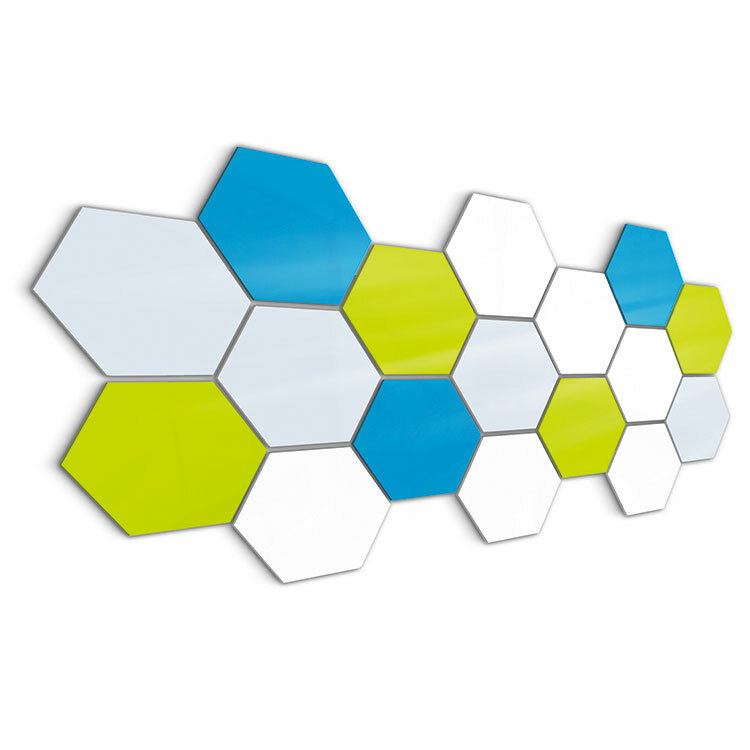 The LINK Hex features premium dry erase powder-coat on a beautifully formed steel surface, making it inherently magnetic. Each LINK Hex comes with magnetic accessories to allow for ultimate flexibility, one marker and one microfiber cloth. When was the last time a whiteboard had some attitude? 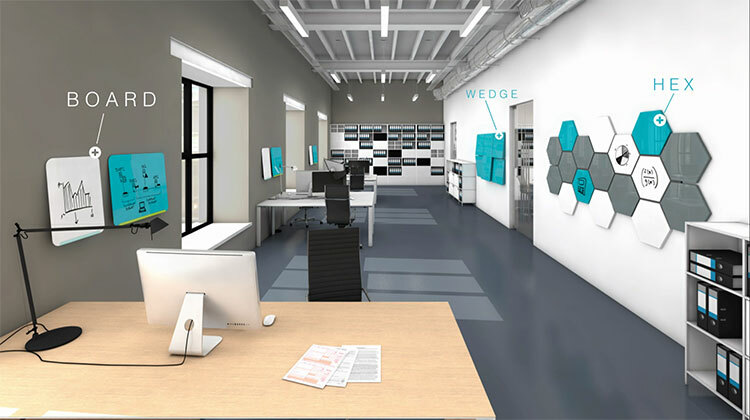 LINK Hex is designed to make public or private spaces more personal than ever before. 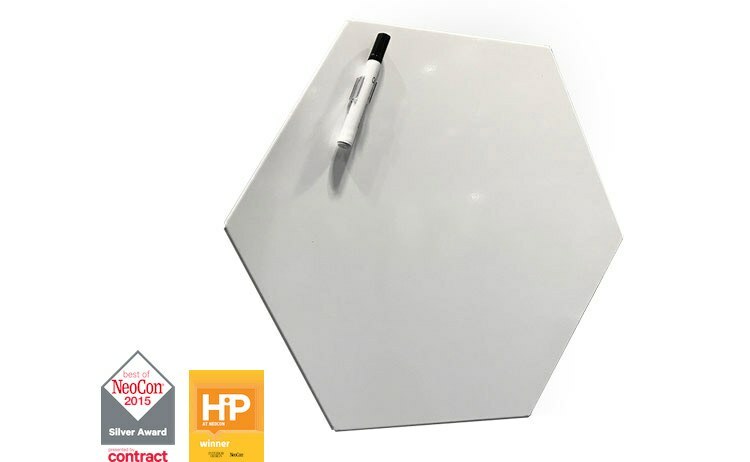 LINK Hex is as simple as it looks, a hexagonal magnetic whiteboard. Studies show that when a collaboration tool is fun, people start to use it! 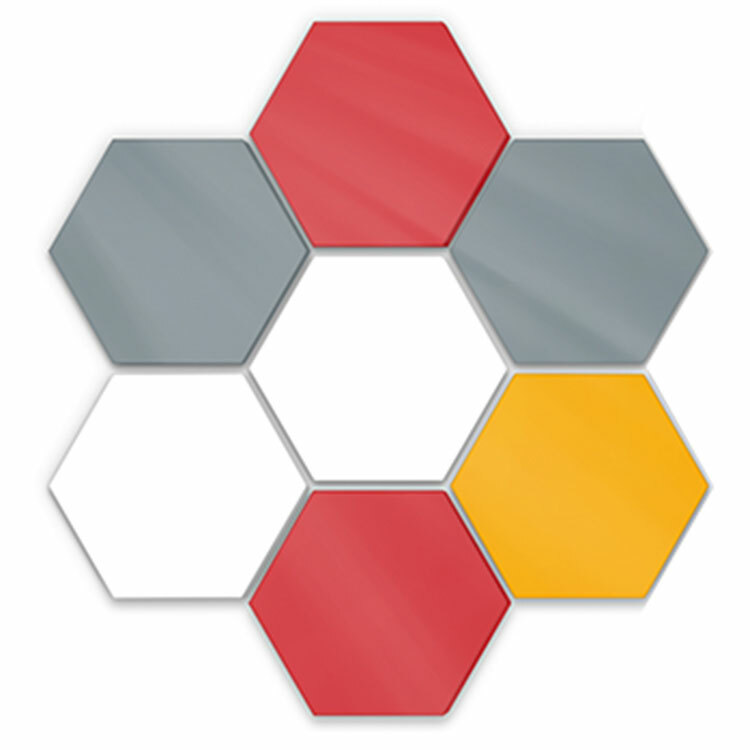 Take a simple Hex and create a canvas to suit your needs. The LINK Hex features a premium dry-erase powder coat finish on a beautifully formed steel surface for an incredible user experience. 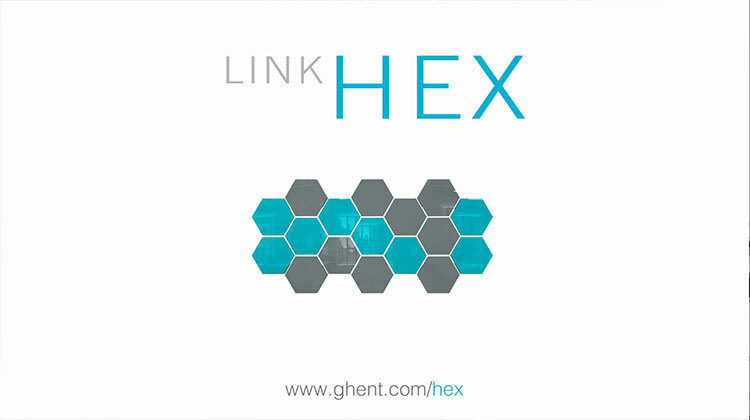 LINK Hex is designed to make common areas uncommon. Lobbies become conversation centers and hallways become brainstorming-central. 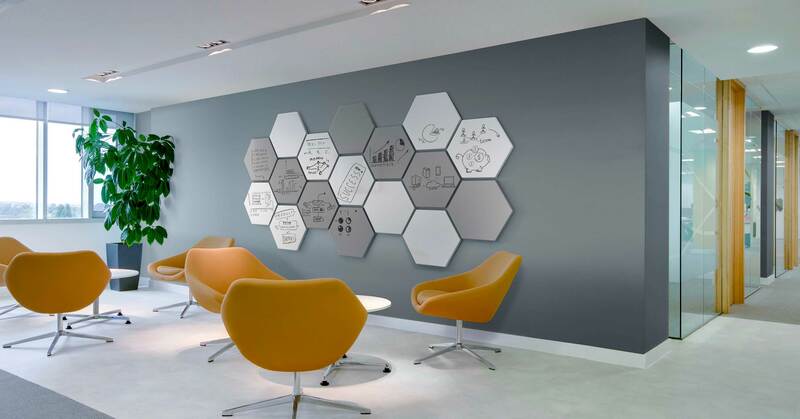 LINK Hex can be hung with the flat side or the pointed side of the hexagon pointing upwards, giving you even more creative freedom. Each LINK Hex comes with magnetic accessories to allow for ultimate flexibility, one marker and one microfiber cloth. Each LINK Hex whiteboard carries a 10-year warranty and is made in the USA.